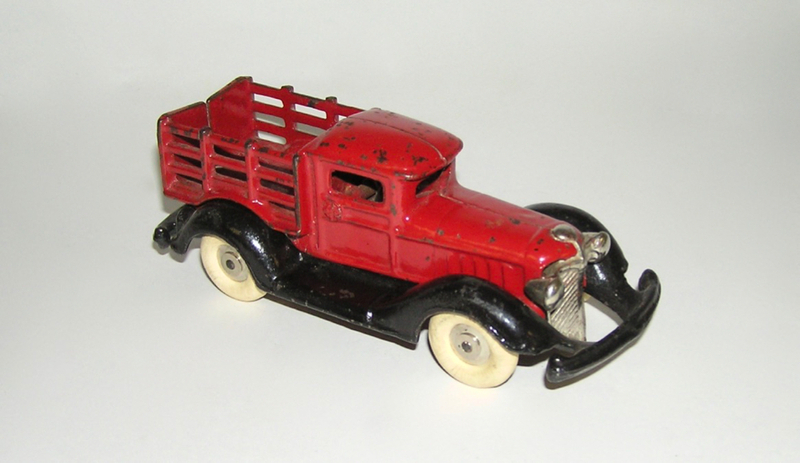 Here is beautiful A.C. Williams cast iron Take-Apart Shovel nose Packard Stake Truck. 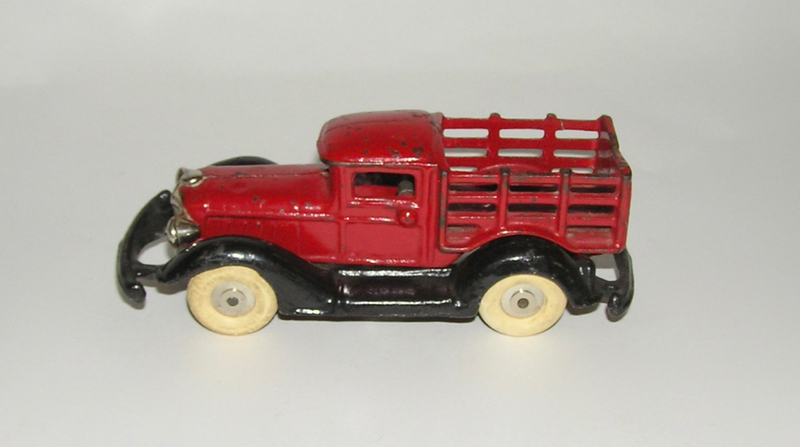 Painted red with black frame, with nickeled grille. Two-piece construction with the body and separate frame, held on with a clip. This is a rare larger size measuring 6-3/4". Overall, in excellent condition - as seen in the pictures. No breaks or cracks. An impressive looking truck - don't miss. Thanks.